Mason Brewer at football practice at McAllen High School Thursday, Aug. 16, 2018, in McAllen. McALLEN — Don’t forget that the McAllen High Bulldogs reached the 2017 playoffs. 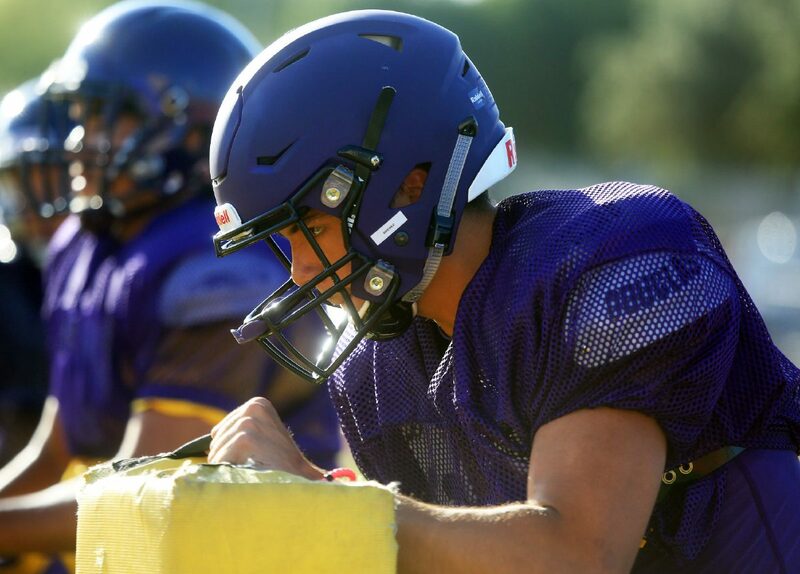 And don’t forget that McHi was a young team, even if their top two yard-earners, Gunnar Henderson and Roy Gutierrez, played their final high school game last season. McHi stumbled out of the gate and needed a late-season push and some dramatic wins to advance to the postseason. Reaching the playoffs was an exciting ride that was fittingly clinched on the back and legs of a hobbling Henderson against Mission High in Week 11. The Bulldogs hear the chatter that this year might be more difficult than last. Their district loses La Joya Palmview but gains PSJA High and PSJA North. 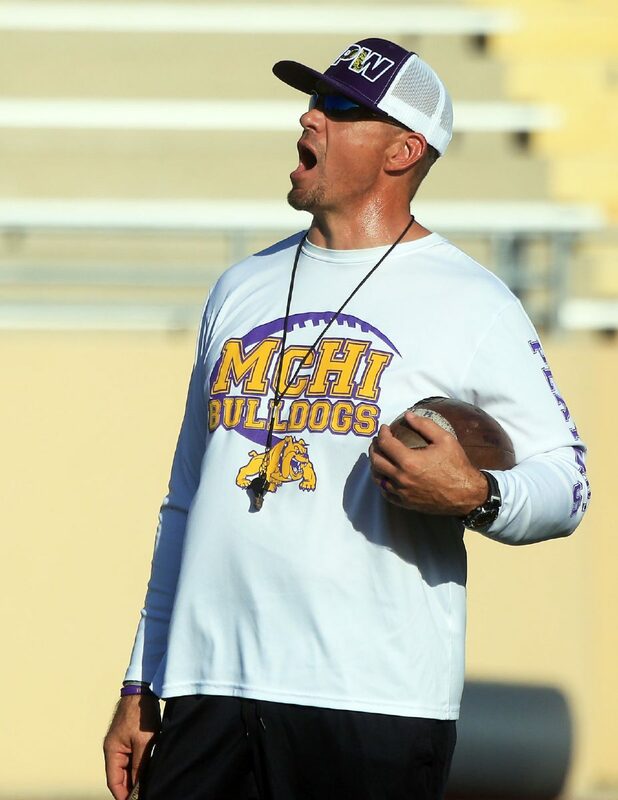 Head football Kevin Brewer gives direction at practice at McAllen High School Thursday,, Aug. 16, 2018, in McAllen. Sixth-year coach Kevin Brewer said that reaching the playoffs was an important accomplishment after a “bit of an up-and-down year.” The experience, in his eyes, was priceless.